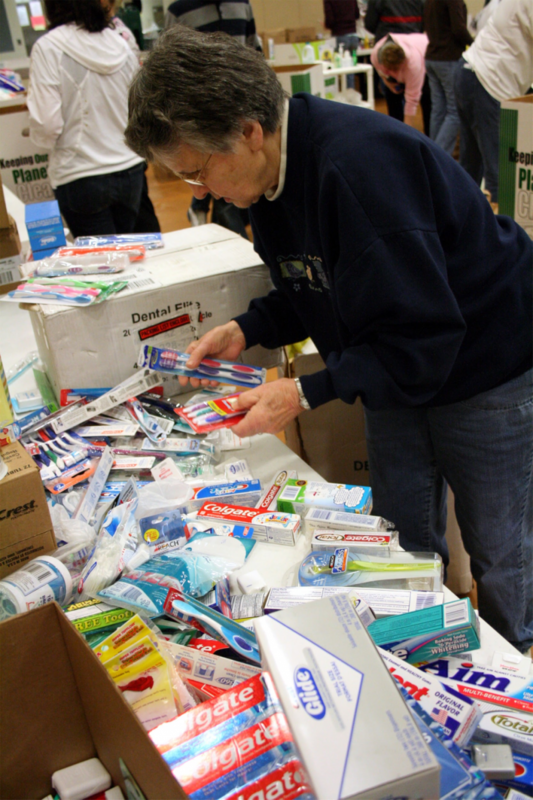 Beginning Sunday, February 17 and continuing until March 10, you can help make a difference in Northeast Wisconsin. 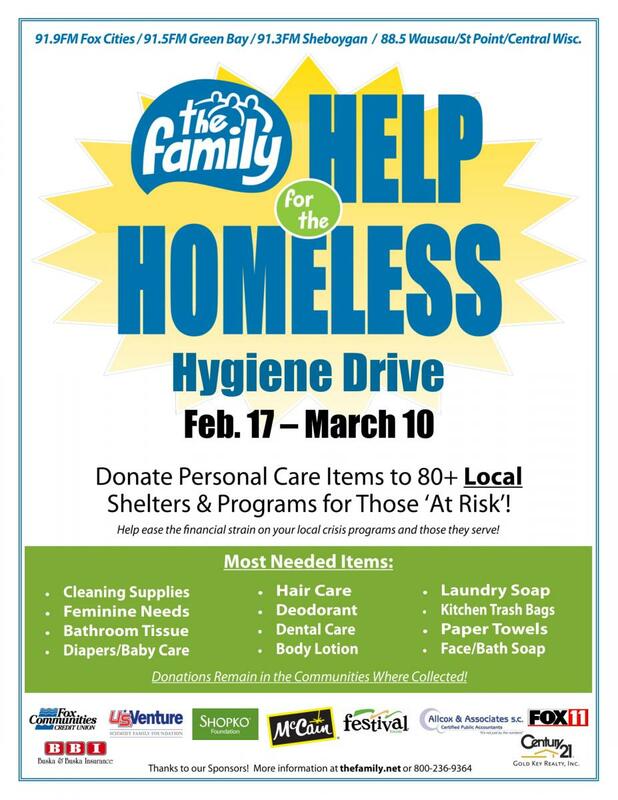 For the 27th year, 91.9/91.5 The Family Radio Network will rally with local crisis agencies for their Help for the Homeless hygiene drive. Help for the Homeless works to ensure shelves of local homeless coalitions are stocked so that the organizations can spend more resources on safe housing, education and counseling. The goal is to have a year’s supply worth of products for each of the 67 crisis and homeless programs partnering with ‘The Family’ in Northeast Wisconsin. Look for a large box at the front of the store with the following poster on it and you can leave your donations there! For a full list of requested items, check out the Help for the Homeless brochure. Donations will stay in the communities where they are collected. 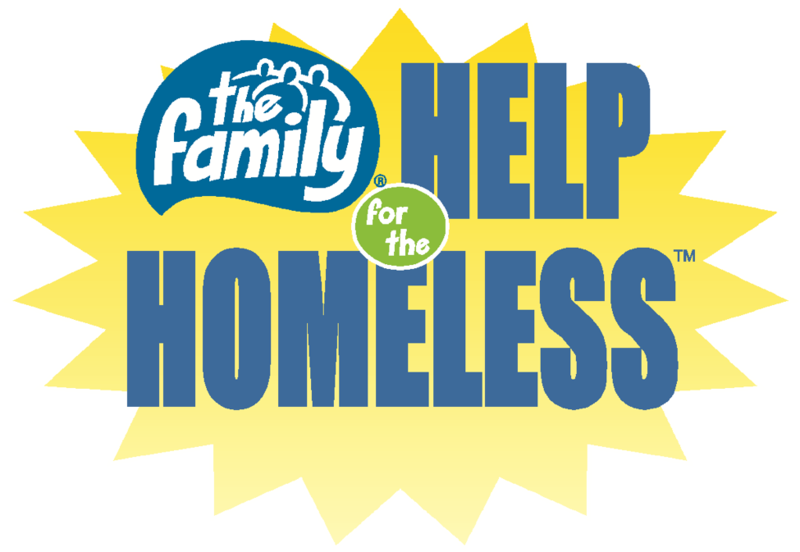 For more information about Help for the Homeless, or to set up a collection box of your own, visit The Family website.